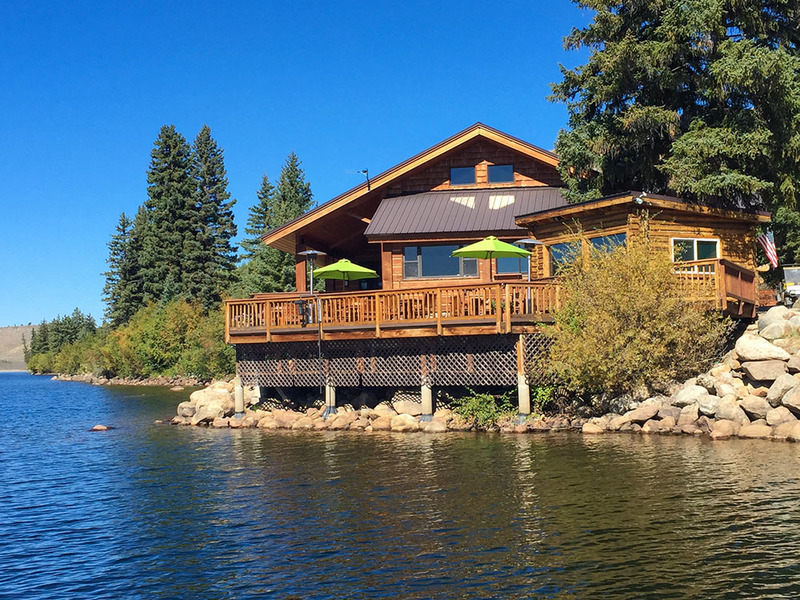 Half Moon Lake Lodge includes six cabins tucked into the aspen and pines, all with beautiful lake views from their decks. The restaurant and bar sit right on the lake shore and have an inviting patio from which to enjoy the quietness of the lake. 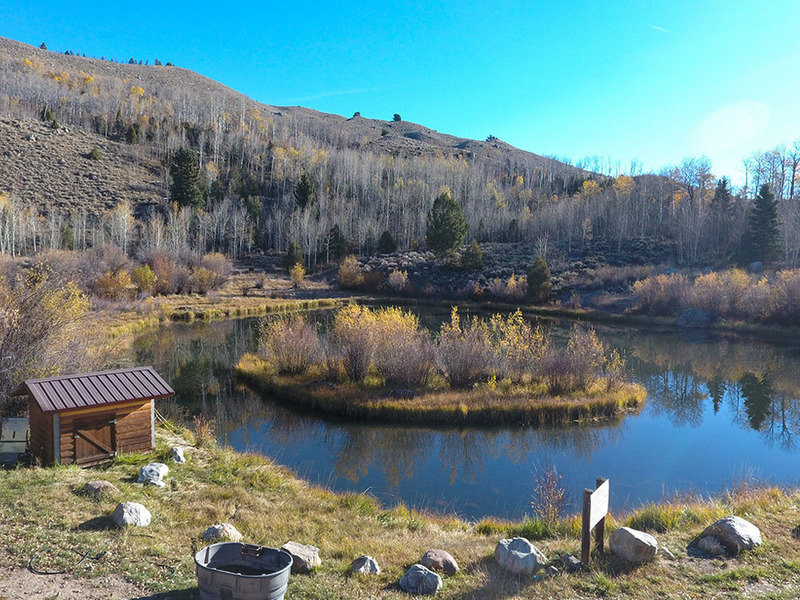 There are so many outdoor recreational options – fishing, hiking, boating and horseback riding in the beautiful Wyoming countryside are among some of the endless possibilities. Property selling at ABSOLUTE AUCTION – regardless of price! An Albert Burney representative will be available daily from Sept. 26th thru auction Day between 10:00 AM to 3:00 PM. For more information call (800) 434-1654. Pre-showing tours are available by calling John Turner at 307-699-3415 or emailing him at jturner@livewaterproperties.com. 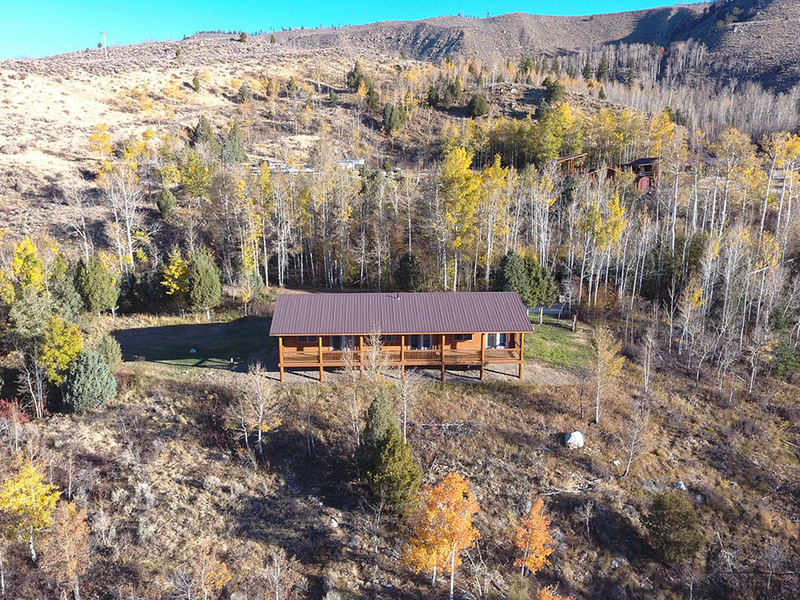 Ten percent (10%) down Auction Day with closing on for before Jan 14, 2019, U S Forest Permits must be completed Dec 30, 2018. Certified funds in the amount of $50,000.00 will be required to bid. The certified funds may be in the form of a Cashier’s Check made payable to the bidder, or a personal or company check with a Bank Letter. Call our office for a copy of the complete terms. Absolute Auction Selling Regardless of Price! 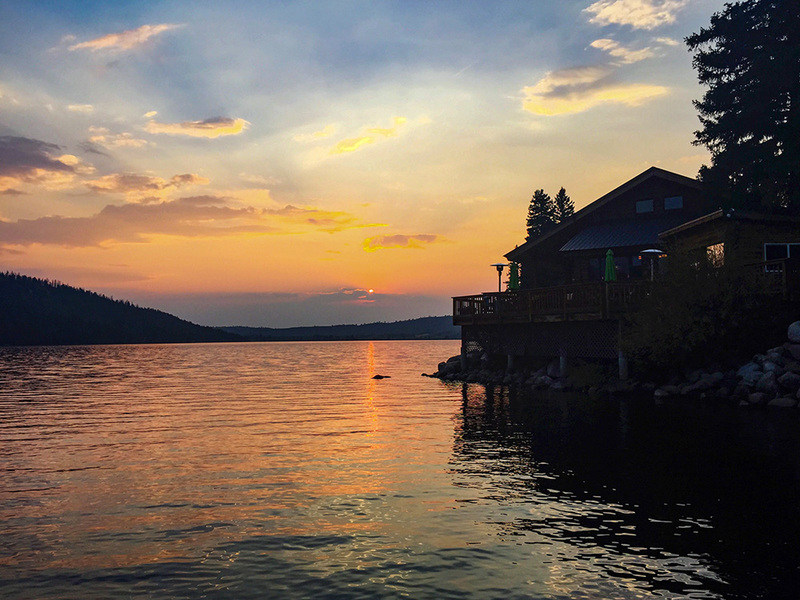 Along the shore of Half Moon Lake, at the base of The Wind River Mountain Range in western Wyoming, sits the Half Moon Lake Lodge. 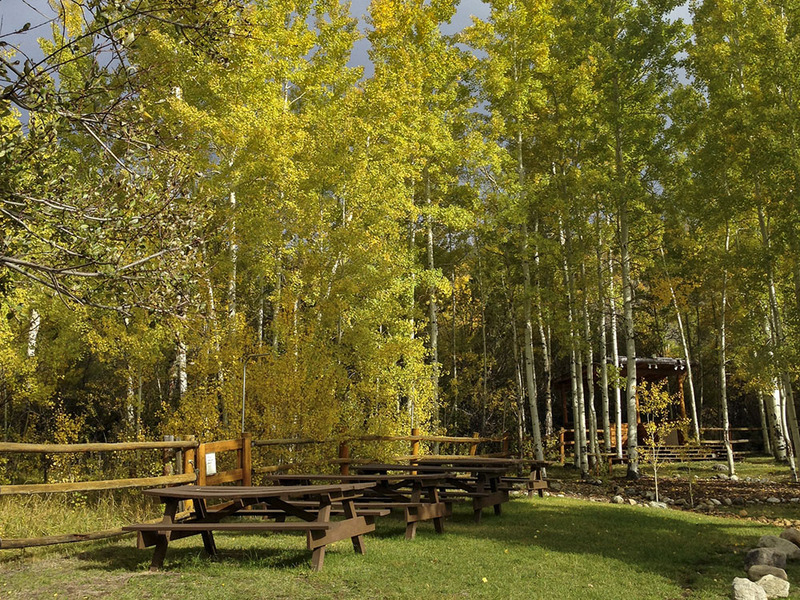 Located just 9 miles northeast of the town of Pinedale, Wyoming the lodge is also just an hour and half from the resort community of Jackson Hole, Wyoming and the world renowned Jackson Hole Mountain Resort. 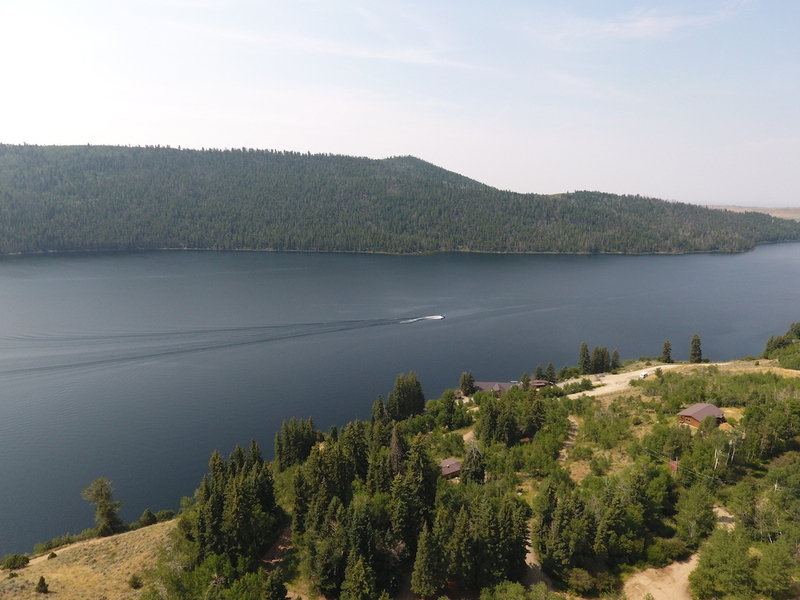 Half Moon Lake Lodge is located on the Bridger Teton National Forest (no deeded acreage) and commercial activities are authorized by Special Use Permits and include: boating, fishing, boat rentals, rental slips, hiking, horseback riding and lodging. 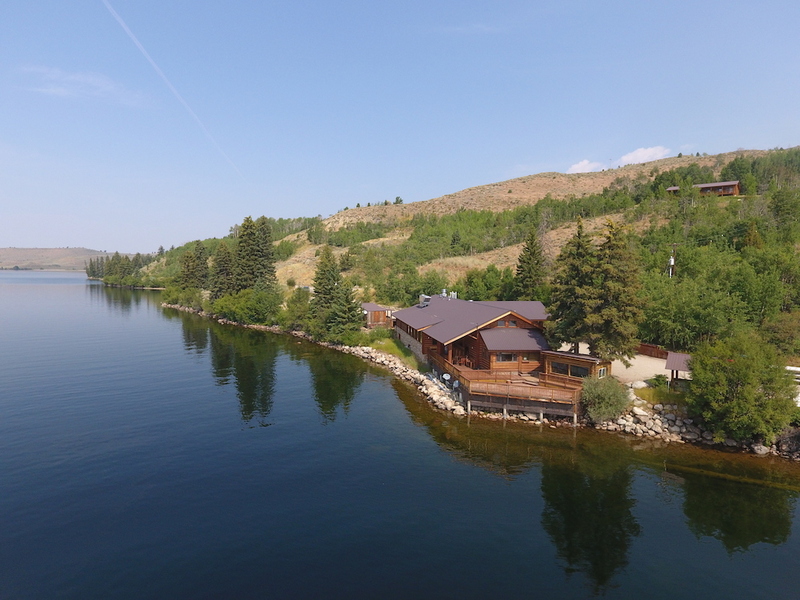 The Main Lodge includes facilities for a full service restaurant, saloon, lakeshore patio, and fully equipped kitchen. The restaurant seats around 100 guests and there is outdoor patio seating on the lake for additional guests. The recently renovated “Half Moon Saloon” features native wood, concrete bar top and brand new appliances and fixtures and operates with a full retail liquor license. The full basement offers generous storage and a separate room to store liquor. Water comes from the lake and is treated through UV light and chlorine filters then stored in four 500 gallon tanks and pumped in the basement then pumped throughout the property. The lodge is supported by an emergency backup generator. 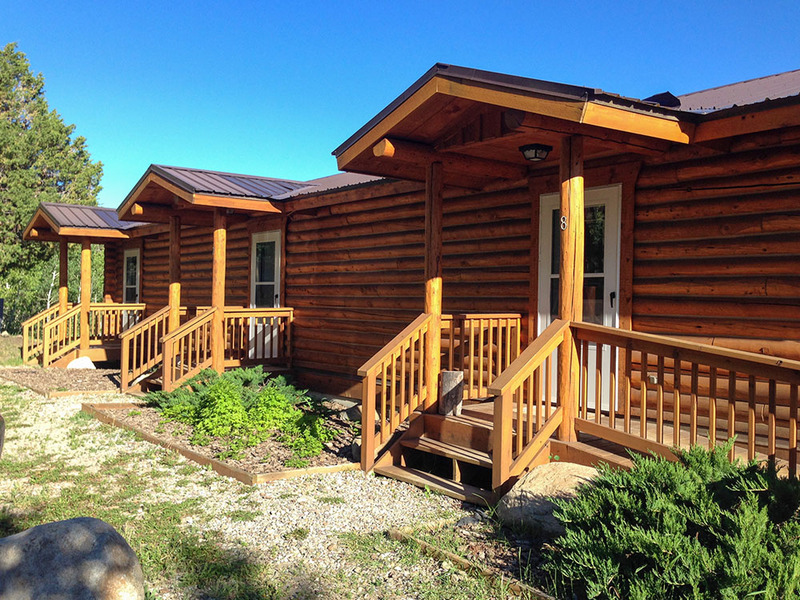 Half Moon Lake Lodge includes six guest cabins that can accommodate up to 30 guests. 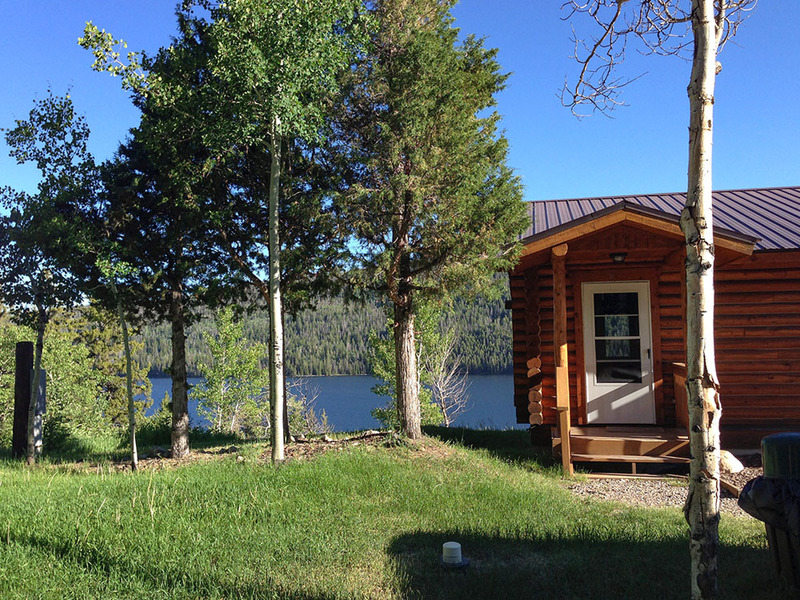 All the cabins have private baths, refrigerators, and lake view decks. Build between 1965 and 2004 each cabin has its own character and charm. The current existing Forest Service Permit includes authorization for additional cabins. Support facilities include a barn and corrals for the horseback and outfitting activities. Plus, a complete laundry room, shop/marina building, employee housing and multiple storage sheds on the property. A floating dock system to support up to 15 boat slips is also included. Everything is included from saddles to plates, truck to boats, and tractor to bedsheets. Give us a call for a complete inventory list. 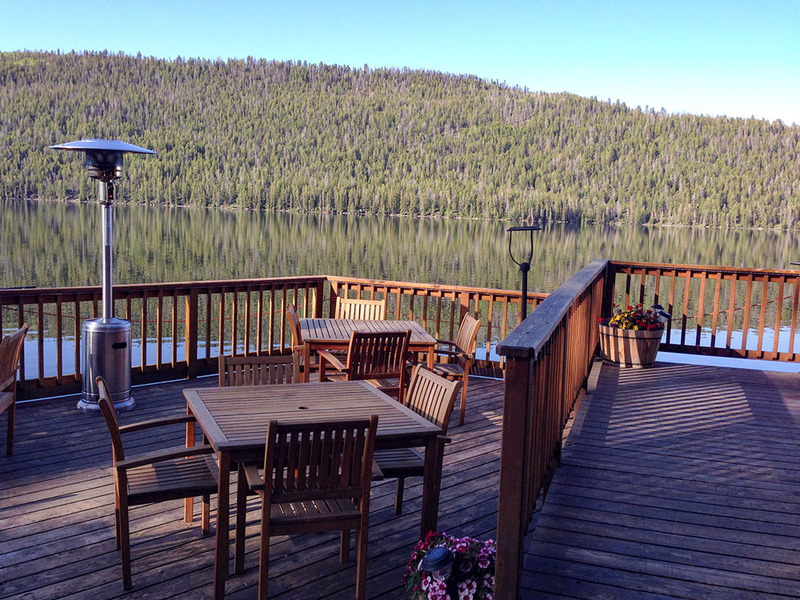 Half Moon Lake Lodge is a true turnkey operation the facilities are in immaculate condition with a complete inventory. Located just 1.5 hours from Jackson Hole and Grand Teton National Park, the Lodge offers a great setting and activities for travelers and locals alike. Please contact our office at 256-543-1654 or info@albertburney.com if you would like to receive additional information or schedule a personal property tour with a member of our auction team. This property is being offered in cooperation with Live Water Properties. For information about the Special Use Permits and the U.S Forest Service please contact John Turner at jturner@livewaterproperties.com. Thank you for your interest in our upcoming Half Moon Lake Lodge absolute auction on September 29th. If I can answer any questions or provide additional information please respond to this email and I will contact you. For any questions concerning the auction please contact James Morgan, Project Manager, for Albert Burney. Half Moon Lake Lodge is a United States Forest Service permittee. For questions about the permitting process or the permits please contact Deidre Witsen Special Uses Program Lead, SUDS coordinator and Permit Administrator. DISCLAIMER: All information is taken from sources believed reliable; however, no guarantee is made by the Auction Company, Broker, or Seller. The seller has the right to withdraw the property, delay or cancel the auction, or sell the property prior to auction. Buyers should satisfy themselves as to any inspections prior to bidding. Any announcements made the day of the auction supersede all advertising. All measurements, acreage, boundaries, & square footage has been received by 3rd party resources. Warren A Ward RE-13258. This property is being offered in cooperation with Live Water Properties.